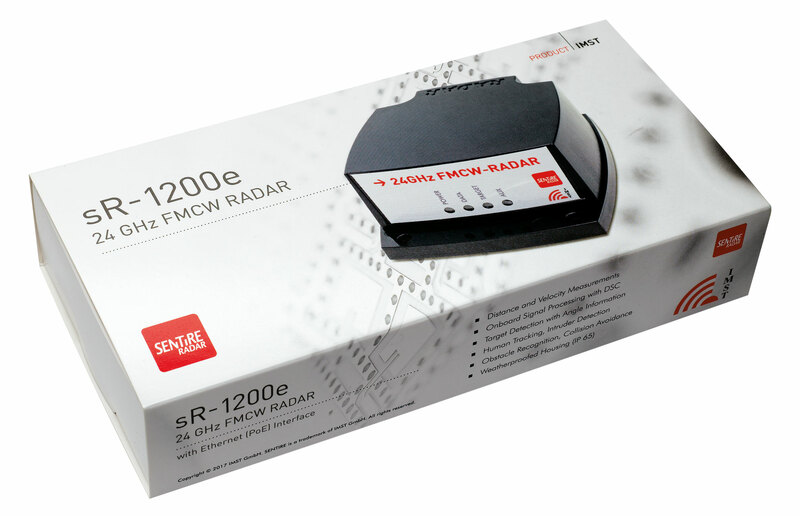 Product information "sR-1200e + APP - 24 GHz FMCW Radar Module"
The Sentire™ Radar Module - 'sR-1200e + APP' - is a plug & play radar solution. It features a single chip-IC from Infineon for the radar functionality. The 24 GHz Radar Module sR-1200e has one transmit and two receive antennas/channels. 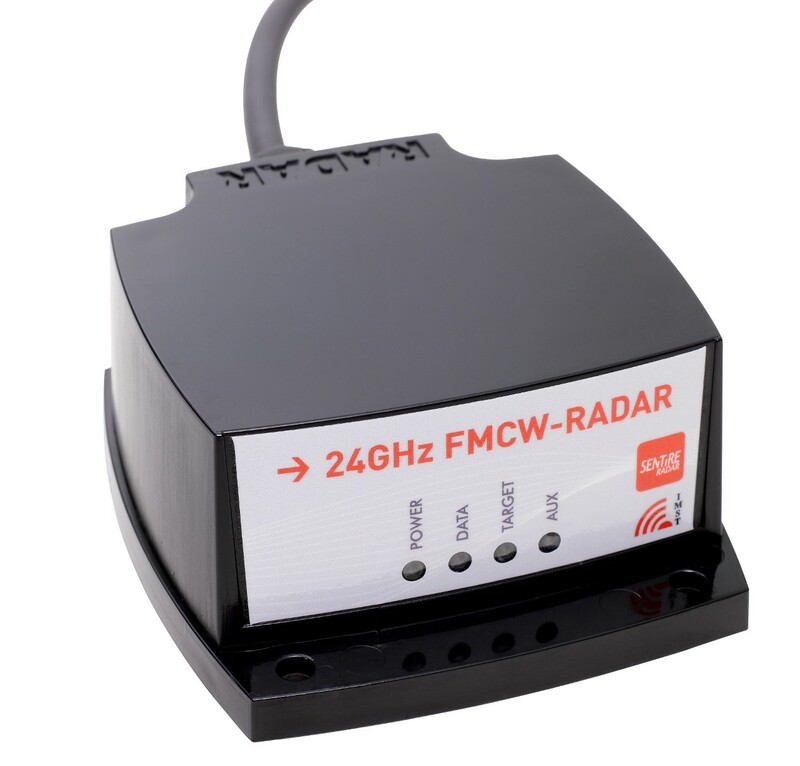 Thus, it is well suited for distance, angle and speed measurements in FMCW or Doppler mode. 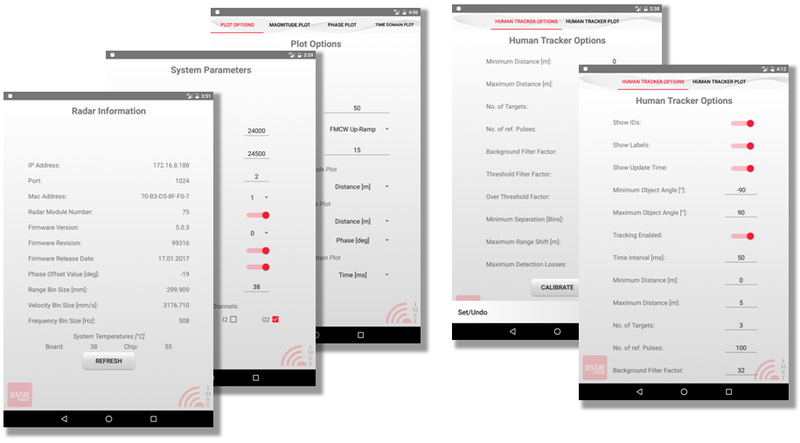 The Radar Module 'sR-1200e + APP' comes along with a configuration and visualization AP - SenTool™ for Android mobile phones or tablets. The GUI includes basic radar configuration settings, data plotting as well as target recognition and tracking capabilities. 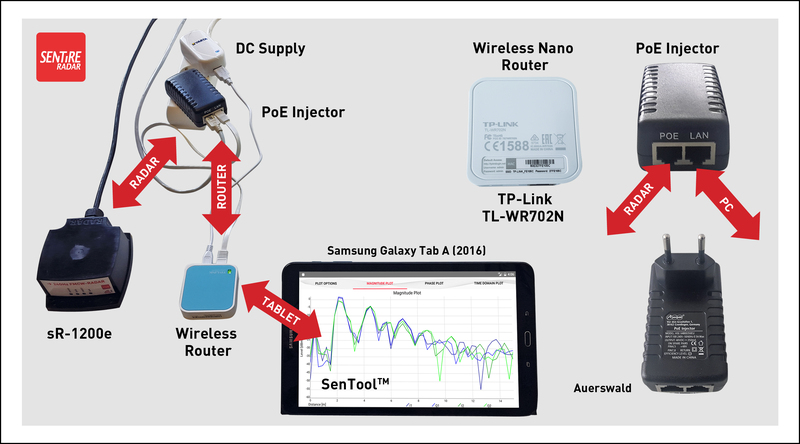 Furthermore, this product features Power-over-Ethernet (PoE) functionality for powering the devices and for data transmission. The Radar Module 'sR-1200e ' may be used on UAVs (civil drones) also. It can be equipped on robots for collision avoidance, industrial vehicles for safety measures, general collision avoidance measures and/or distance metering, too. Furthermore, this radar is well suited for area surveillance including detection and tracking of persons (intruders). More Detailed Information on Radar Solutions at IMST. Related links to "sR-1200e + APP - 24 GHz FMCW Radar Module"
Customer evaluation for "sR-1200e + APP - 24 GHz FMCW Radar Module"